Discover the secrets to successful leadership as an introvert – from a surprising source. 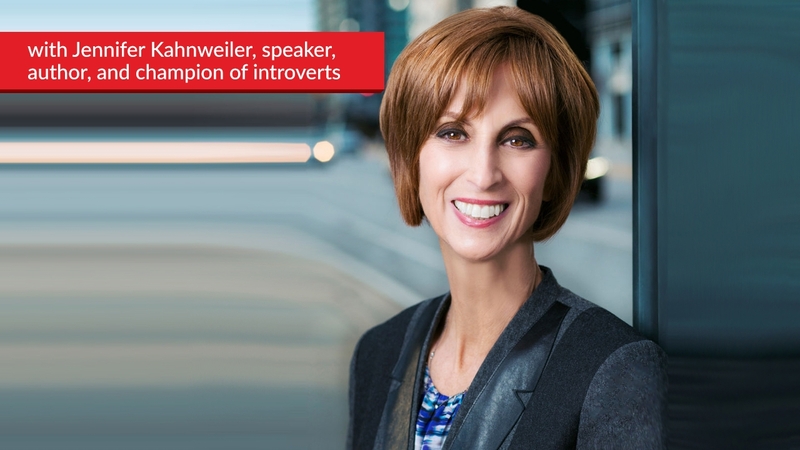 Jennifer Kahnweiler is an international speaker, bestselling author, and world-recognized authority on introverted leadership capacity…but here’s the kicker: she’s an extrovert! While I make it a rule to invite only introverts on the show, in Jennifer’s case, I’ve made an exception – and you’ll soon discover why. 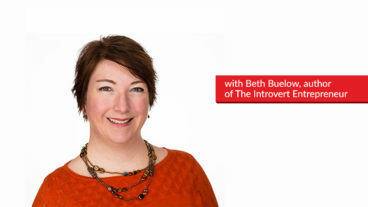 Tune in to learn her personal and professional reasons for developing an interest in the power of introverts, her strategies for introverts who want or need to excel at leadership, and the improv mantra you need in your back pocket. Based on her years of research and interviews with highly effective introverted leaders, Jennifer has created “The 4 P’s” as a go-to strategy for introverts who want to develop their leadership capacity. Applying the 4 P’s is a simple way to drastically increase your confidence and nurture your skills as a leader. And best of all, it draws on the strengths you already possess. Preparation: Introverts don’t really like to wing it. Instead, we come with questions, ideas, analysis, and reflection. Having a plan for that meeting or conference call will make you feel much more comfortable than trying to go with the flow. Presence: When you’re prepared, you’re more able to be truly present, allowing you to connect to the people you’re speaking with. Push: Growth comes from pushing ourselves to do the things we might be afraid of. Push yourself just to the point of being a little uncomfortable; you’ll get through it and you’ll be stronger for it. Practice: Have a disciplined plan to hone and refine your skills. Matt: Hello everyone and welcome back to The Introvert’s Edge. And I’m ecstatic to introduce a good friend of mine – Jennifer Kahnweiler, who has authored two amazing books. Well multiple books, but two of my personal favorites, Quiet Influence, and The Genius of Opposites. And I have to say she’s – she’s actually an extrovert. But she’s got so many great strategies. So while I generally only let introverts on this show, the strategies that she’s used are so, so helpful. And she talks about in detail, the principles around how introverts can be successful in leadership. So I’m really excited to welcome her to the show. Jennifer, thank you so much for coming on. Jennifer: Oh Matt, it’s my pleasure. I’m so happy that you’re having this show. It’s a great service you’re providing. Matt: Well thank you so much. And I’m – I’m honored to have another CSP. We’re both CSP speakers from The National Speakers Association as well. And my first speaker on the podcast. So it’s also another honor to have you on. Jennifer: Most of the world doesn’t know what our designation is that we worked so hard for, nobody seems to know what it means. But it’s Certified Speaking Professional. So we’re in a small percentage of – we’re very honored, I’m sure you are too – to be part of it, in the National Speakers Association. Matt: Definitely, definitely. And I think one of the– And we’re not going to spend a lot of time talking about speaking, ’cause we’ve done a lot of– We’ve had a lot of segments on speaking. We’re going to be focusing on leadership. But I have to say, I was surprised just how many people that are in the CSP club – the most professional of professional of professional speakers– Again, speaking is something that everybody assumes is an extroverted skill set, that are actually introverted themselves. And they have amazing stage presence. Jennifer: Incredible. And the more we learn about actors and performers of all kinds, the majority of those – Matt, as you know – are actually introverted. The strengths of introverts, like preparation and planning and just complete diligence – gets them ready to get on the stage, and to be extroverted for that time. Matt: Exactly right. And look – I – as I said, I’m constantly shocked. I constantly find new people that I think are extroverted. I see them on the stage, like – amazing, must be an extrovert. Totally introverted and – again – the difference is that they just want to sleep afterwards. They – it takes their energy, it doesn’t make any difference to their performance style. It’s like Jim Cathcart – great friend of mine, ex-President of the National Speakers Association. When he’s done, he wants to go party – I want to go into a dark room. And I think that’s the only difference, and our delivery methods are actually quite similar. We both tell stories from stage. Though I don’t think I’m quite at his skill set yet. I think he’s our most award-winning speaker ever. The major difference is basically how we recharge. But enough about speaking. Let’s get into the hot topic. Because a lot of people that have been watching this show over time, have heard some great advice on how to network, and how to speak publicly. And I think Ryan had some great detail around how to be a strong leader. But I’m really excited about having you on, Jennifer. ‘Cause I know you spent a lot of time looking at how introverts can be great leaders. And I really just want to – to go – well firstly, how did you get into that, and talking about this topic? Jennifer: Well it started for me, Matt – with my own relationship. I married an introvert many years ago. And I was very perplexed as to why he wouldn’t show the same enthusiasm after we’d go on social outings, as I did – and want to talk about all the things that were happening. And until I – I actually took a– Fortunately took an instrument called the Myers-Briggs shortly into our marriage, that really helped me understand more about this personality type. And I – as I started working in organizations in leadership and coaching roles, I would continually find that I was supporting introverts. Who after many years oftentimes of being, sort of ignored and overlooked and misunderstood, passed over – it was really taking a hit on their self-esteem, on their confidence. And they really saw that – it’s almost like an oxymoron to say that you could be an introvert and be a leader. Because as many of them would share with me, “I don’t see people that look like me,” Matt, “Like in leadership roles. They’re sort of outgoing and rattling those sabres, and just being very extroverted” – if you will. But in fact, as we know – anywhere between 40 and 60% of people in the workplace are introverted, and certainly many people in C level and senior positions. So that’s sort of how it started – from the personal, and then went to the professional. And it really – these are all skills and insights that we have, both at home and at work. 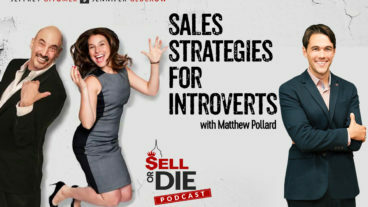 Matt: Jennifer, I’m interested – because – you are an extrovert yourself, but you teach introverts how to be strong leaders. And as an introvert, I’m a big believer – myself – that we’re different and we should just embrace that. But now that I’ve embraced my introversion, and if I want to be a leader– I mean, a lot of introverts think they shouldn’t be in leadership roles, they should just be the person doing the work. And I’ve seen some amazing, amazing introverted leaders. To be an introverted leader, does that mean I need to become more extroverted? Do I need to create–? Do I need strategies to be perceived as more extroverted? Or can I embrace my natural talents to be a great leader? Jennifer: The improv people use an expression, “Yes, and?” I think it’s both, really. Yes in both. But I do come from what – the first thing that you said – or in your discussion just now Matt, about not becoming an extrovert. I found in my research, I interviewed – for an introverted leader, I interviewed and questioned over 100 leaders across many different industries. And also for Quiet Influence, which was the book that followed. I did a very similar– I used a very similar process. And the main theme that kept coming out was that – yes, we have acquired strengths and we– The effective ones use those strengths really well. That said – we still live in a world that’s very extroverted. Our workplaces expect us to socialize, as you said. Be out there speaking. But we can still use our strengths, all of us – extroverts and introverts – to really get to the point of leadership. There’s certain capabilities that we need. And so, what I found the successful ones do, is they apply those strengths that they have to these challenging– To the typical and challenging leadership scenarios. So for instance – you mentioned public speaking, even coaching. A coach – an introvert who is doing– A leader, who’s leading – a big part of their job is coaching, right? You have to get the best out of people. Well they don’t – typically, successful introverted leaders don’t wing it. They come with questions. They’ve done a little research on the person they’re coaching. They’re organized. All the things that make introverts shine, they use – and that’s what I found consistently. That they take those skills that have made them successful in business, in their functional area – whether it be finance or marketing. And they use those skills and apply them to interpersonal and communication situations. So that’s why I say, “Yes, and?” Because you still have to flex, as you know. More and more, I’m seeing – thank God, I’m glad to see this. That extroverts are really saying that. And the research really says this. That they need to be quiet and listen more. And that way, they’re going to get more productivity out of their team. So that’s an introvert strength. So we’re not there yet. We’re seeing extroverts needing to shift. They’re still going, going – and don’t think that – a lot of them don’t think they need it. But we’re seeing the needle change a little on that area. So that’s kind of what I think about that in terms of – stop trying to be an extrovert, but embrace who you are. Matt: That’s brilliant, Jennifer. And thank you for sharing that. I – one of the– I just am thinking of a person that– Maybe they’ve been in a job for a long time? Maybe they’ve been offered management positions in the past, and turned them down – because they don’t want to do it, or they’re scared to do that. And – or maybe they just don’t see that it’s something that they can do for themselves. Let’s – what would you say to those people? And then if you could talk them into becoming strong managers and leaders, what strategies would you suggest they start with – to continue on their journey of actually becoming a successful leader? Jennifer: Well again, I want to come from the viewpoint that I’m basically – I see myself, Matt, as the conduit for sharing the lessons that I’ve learned from successful introverts. I want to be really careful to say – just ’cause I’m an extrovert, I’m not going to tell an introvert how to do it. But these are lessons that really I have gained from these highly successful introverted leaders. And I found that their – their success strategies basically came into four different buckets. And just for the – the ease of memory, I call those the 4 P’s. And I know there are other 4 P’s in marketing and that kind of thing. But I own these – I own these 4 P’s for this particular piece of the puzzle. First P is to prepare. And so I have mentioned that several times in our discussion. But that is one of the aces in the hole for introverts. They come with questions, they come thinking about what their strategy is going to be. And that – that is so tremendous – when you’re entering meetings, when you’re talking with people you’re not comfortable with. Even as you talked about networking, right? And really figuring out who’s going to be at the event. And even doing a little research. I had one guy who was extremely introverted, and he basically wanted– He had – he was a salesperson. He actually found out what the board was – of the guy that he was trying to pitch to on the charity. And he basically got the sale, because he had done his research. Now, I’m not saying an extrovert wouldn’t do that, but an introvert’s more likely, right? So preparation. The second thing is presence. Once you’ve prepared, and you’ve done all the thoughtful analysis – which you do very well as an introvert. What they tend to do, is then they’re there. They’re listening. They’re present. 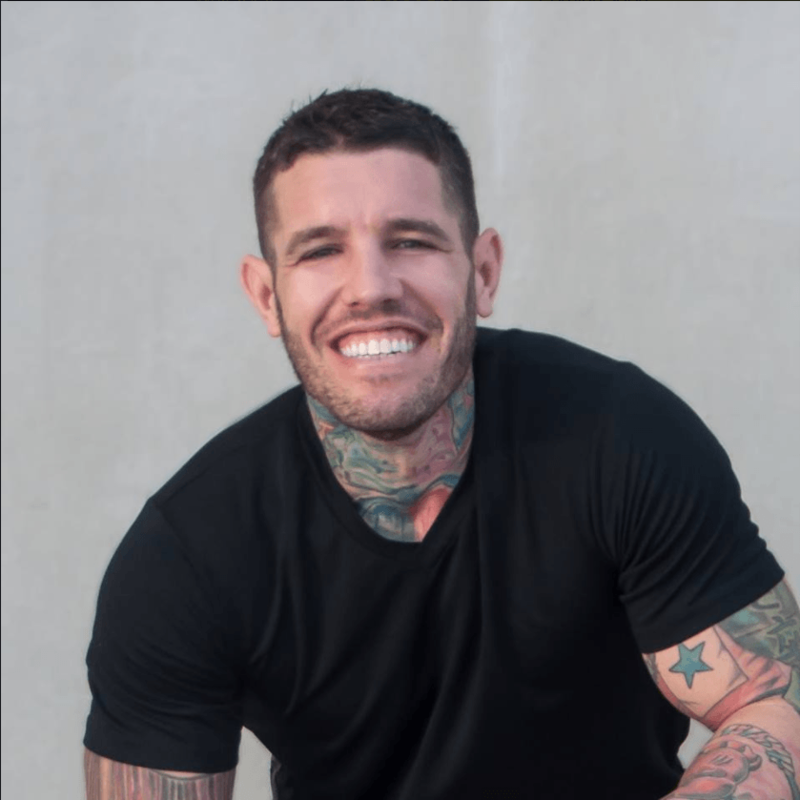 They’re not worrying about, “Am I going to get the sale?” Or, “Did I do enough preparation on this?” No, they are there that way they’re able to connect with the audience, to connect with the person they’re trying to relate to one-on-one. So that being in the moment – I’m not saying introverts are like always great at that. But when they are, people – that’s where they get the feedback all the time. It’s like, “God, they really helped me with my problem.” And the introvert will say to you, “I didn’t say anything, I basically just was there with them.” But people pick up on that, don’t they? On that authenticity, on that being real in the moment. And then the third one is push. I just had a guy write me an email, that he’s preparing for a TED talk kind of a thing in his company. And he said, “I realized in talking with you that – that’s the piece that’s been missing. I haven’t been pushing myself. I know I can do a great job on this, but I’ve got to push myself.” So don’t we all? I mean, to stretch and to grow. And so they continually are pushing themselves. So not pushing themselves so much that it’s like – and give you painful muscles the next day, like when you work out too hard. But that – just enough that it’s a little bit uncomfortable. ‘Cause that’s – we all know that’s how we grow. And so again – those successful introverted leaders tell me that they did that. And I watch them. I watch them do that in many ways. And then the fourth area is practice. It’s continuing to refine and hone the skills and really have a discipline plan to do that. So those will be the four steps that I would say that people can go to. It’s all in The Introverted Leader. I have a lot of tips and strategies to support those. And I also think it’s really important to have a coach or a mentor, to help you. Particularly when things get tough. And to keep pushing you, and to keep challenging you – and keep telling you that you’re doing great. But wow, the introverts that I’ve seen – the successful ones. They are so glad that they did it. And I think that you’re correct – that sometimes it is, it’s having a coach, it’s having a strategy that you implement effectively, continuously improving – to get to a point where you are comfortable. Because a lot of people now say, “Oh I think I’m becoming more extroverted.” Well no, you’ve just got great strategies now, so you’re enjoying the process. You’re an introvert that doesn’t consider that an extroverted behavior anymore. Jennifer: You don’t consider it extrovert behavior. I will say, however that you don’t – you may never feel totally comfortable. In fact, most of them said, “I’m never going to feel like it’s easy for me to just go up to people and talk.” But then they look at people who have very low social– Very poor social skills. And you just think, “You know what? I’ve really been working at this, and now I do – I can start a conversation.” So you can track your progress. But it’s just like extroverts. I’ve just been – I finished the new – I was working very diligently on it, on this new manuscript for the revision of The Introverted Leader. And I found myself, Matt – by the end – I mean I was– I needed to just go out of the house and talk to anybody – an extrovert. ‘Cause I can do it – as – on the opposite side of an introvert. I can discipline myself to be alone. But then my batteries need to be charged up by being with people. Whereas the introvert, like you said earlier – they’ll go, be acting sort of quote – extroverted. But then they definitely need – right? You find that? Matt: Yeah. And I think that’s actually really interesting, Jennifer. ‘Cause what you’ve just highlighted, was the fact that you have to discipline yourself to do introverted activities. Of like – sitting down and writing and doing those sorts of things. I’d love for you to share with that. Because introverts tend to focus a lot on the negatives around being an introvert. And they don’t realize that extroverts actually have negatives as well, that they have to discipline themselves to do. Jennifer: The whole theme about any overuse of a strength, becomes a weakness. And I wrote about that in Quiet Influence. And I was surprised that people were really interested in those parts. Like for instance, too much quiet time – like you were saying, Matt. You can really isolate that way, right? You can do too much of it. You can get in your head so that nobody’s ever hearing your ideas. Matt: I think the best example – Beth Buelow was on the show as well. And she said – with her, she can disappear into her world for a long period of time. But then afterwards, occasionally she’s like, “I’ve got to go and speak to somebody. Because I’m in my own space, and I’ve forgotten what the world even looks like.” So yeah, you’re right. There’s balance of scale. And an extrovert – they can talk and sell lots of stuff, but then they’ve got to get stuff done and they’ve got to focus on that. And listening sometimes doesn’t come as easily. And all those little things that extroverts struggle with, that are natural for introverts. So it’s – everybody has their strengths and weaknesses, and we all need to find strategies. Jennifer: Exactly. 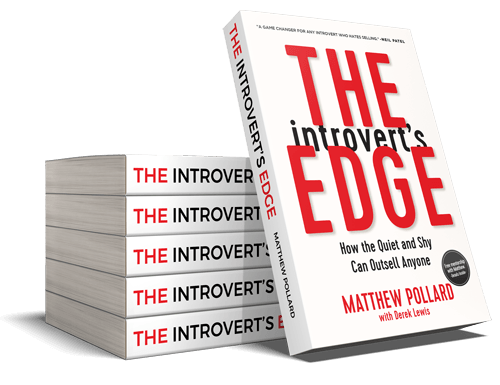 And we all know – I think the positive news now is that we really are talking about introversion and extroversion, Matt – as a spectrum. That we have – all have these qualities within us. So what you were describing before, it’s like – using those muscles. I’ll use that physical example again. You’re strengthening those muscles. But it doesn’t mean – as you say – you’re going to become an extrovert. You’re not becoming, you are acting as if. So it gets more comfortable. It’s like breaking one hand, and you get to learn how to use it – but it’s never going to– The penmanship is never going to look as good. So it’s learning to adapt. And I think that’s really, really true. So I like to look at it as a spectrum. And then we know that most people are not extreme. I always laugh – I say, “Except for my husband, who is an extreme introvert.” And we all have those friends who are extreme extroverts. Who never stop, who never reflect. Who are constantly needing that stimulus. That can go out of control too, right? Matt: I think that’s really valuable information. And yeah – I mean, definitely utilize your strengths and work on your weaknesses. And get yourself to where you need to be. And look, Jennifer – I thank you so much for sharing so much valuable information. And I know that– I mean, you’ve got a book coming out again. Similar time to when my book comes out later on—Well, early next year. I’d love for you to just share a little bit about where people can find out more information about you, and the new books that you have coming out? Jennifer: Well people can go to my website, Matt. And I’m very active on social media, including Twitter, Facebook and LinkedIn – the three, I guess. My last name is Kahnweiler, it’s a little hard – but once you know it – it’s K-A-H-N-W-E-I-L-E-R, Jennifer is the first name. And so – I have The Genius of Opposites, is the latest book that came out two years ago. And that’s about how we get along as introverts and extroverts. So that we’re better exponentially, the two of us. But how do you get those partnerships to work? And so then, Quiet Influence is another one that we mentioned today in the broadcast. I’m doing a little show and tell here, if that’s okay? Trying to use your salesperson type strategy. How do we– As an introvert’s guide to making a difference. So it’s all about using quiet skill. Your six key strengths that I found introverts use to change the organization, to inspire people, challenge the status quo – and how they do it as introverts. So – again – using interviews, you’ll see lots of case examples. And then the one that I was just mentioning that I just finished was The Introverted Leader, the new edition. The first one came out in 2009, and there’s been a lot of research and a lot of stories and anecdotes I’ve picked up along the way as I’ve been out here talking about this topic. So I’ve included all of that in the new edition, which will be out March 6. And yours comes out in? Matt: January 15. January 15. Yeah, so it comes out on the new National Introverts Week, so I’m really excited about that. Jennifer: Yes, well we’d better be low key about it. Matt: Yes. It will be a social media excitement. So Jennifer, look – I’m really excited that you’re on the show, and thank you for sharing so much great detail. Jennifer: Thank you so much for the privilege of being with you. Matt: Very happy to have you. And for people that want to grab a little bit more detail on Jennifer, and perhaps struggle to find her online – please just go to theintrovertsedge.com/jen – J-E-N. And you’ll be able to find her on the site. There’ll be some show notes there for you. And you’ll be able to click directly from there across to her website as well. But thank you so much for joining us today, and if you’ve enjoyed this episode, please make sure you subscribe. Post your review, to help more and more introverts find out about this podcast. And so that they can start becoming more successful in their business and in their life. But thank you again for joining me today, and I look forward to seeing you in the next episode. Cheers.